The St. Jude Children's Research Hospital Dream Home Giveaway raises hundreds of thousands of dollars for children's cancer treatment each year. 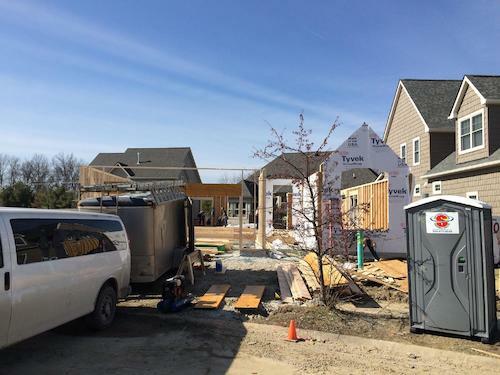 Superior Portables is proud to donate the onsite portable toilet at this year's Cleveland Dream Home construction site. The Dream Home contest gives people the opportunity to win cars, prize packs, gift cards and, of course, the dream home--all while raising money for cancer treatment and research. At Superior Portables, giving back is in our DNA. It warms our hearts to donate portable toilets to such a worthy cause. When we see an opportunity like the St. Jude Dream Home we give what we can because it's the right thing to do. Our helping spirit extends to our friendly customer service staff. If you have a question about your portable toilet rental, you can expect quick help from the kind people at Superior Portables. Contact us to see how we can help you out.